Having two brothers who play football with such ease and accuracy would make anyone do a recheck of the family’s history. Shaquil Griffin like his twin brother Shaqueem Griffin is making waves as an NFL Super Star. Shaquill Griffin proved his athletic prowess with the University of Central Florida Knights football team before entering the National Football League (NFL). He was selected as the 90th overall by the Seattle Seahawks in the 2017 NFL draft and was the 13th cornerback to be selected that year while his twin was selected as the team’s linebacker the following year. 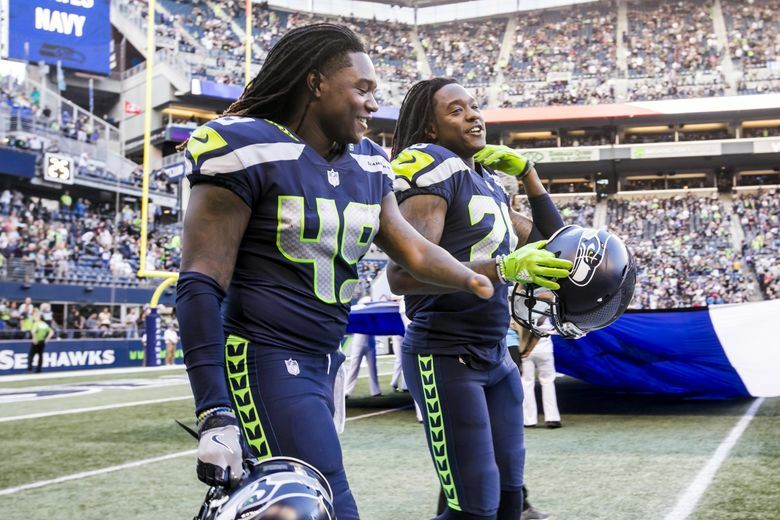 Often times, his performances are compared to that of his twin Shaquem Griffin, the two have a way of topping their games irrespective of their differences. The footballer was born as an Afro-American on the 20th of July, 1995 in St. Petersburg, Florida. He is more reserved and quiet when compared to his other half who exudes so much energy. He groomed himself in the game of football while studying at Lake wood High School. Shaquill Griffin was an all-rounder when it came to any sports. In addition to football, he also excelled as a sprinter and in field events. Every appreciation given to his performance today are all linked to his early days with the school team where he trained as a quarterback. He completed his high school career in 2013 and committed to the University of Central Florida rejecting other scholarship offers. Shaquill began his collegiate career, playing in four games and scored 6 combined tackles in addition to a deflection pass. In his second year, he partook in 6 games, improved in his performances and recorded 15 combined tackles and an interception. His record as a junior was better off than his previous records, he played in 11 games and totaled 43 tackles, 11 passes defended and an interception on the returning end. 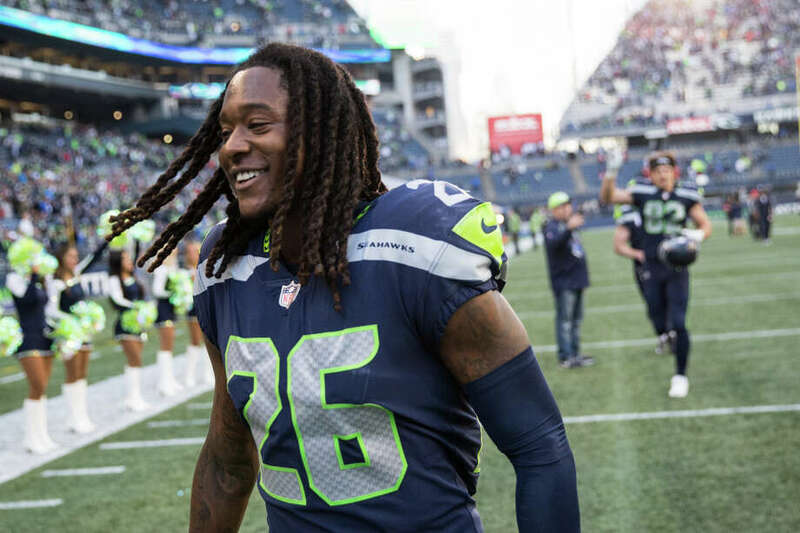 The Seattle Seahawks confirmed their appointment with Shaquill Griffin after he signed a four-year deal worth $3.25 million and a signing bonus of $758,620. At first, Shaquill Griffin was placed on the defensive end and was redshirted for a while. He made his first appearance with the team in a loss to the Green Bay Packers where he recorded 10 combined tackles and a deflected pass. His next game turned out a victory against the Indianapolis Colts, he also recorded his first career start. Playing against the Los Angeles Rams was quite a tough one yet the Hawks emerged victorious as Shaquill Griffin recorded 6 solo tackles and a deflection pass. He continued on a winning pace and recorded 3 solo tackle and a season-high three pass deflection against the infallible New York Giants. After that game, he was substituted to be the team’s starting cornerback. The Atlanta Falcons, however, brought a pause to the Hawks victory streak that season beating the team. Nonetheless, Shaquill recorded just a solo tackle and left the game as a result of a concussion he incurred. He resumed against the Dallas Cowboys and scored 5 combined tackles and also made his first career sack. The Hawks faced the Cardinals again and still lost to them despite Shaquill’s best recording of 6 solo tackles and two deflected passes in that game. By the end of the 2017 season, he totaled 50 solos, 15 pass deflections, an interception, and one sack. The twins were born in St. Petersburg, Florida to Terry and Tangie Griffin. They have as elder brothers: Terrell and Andre Griffin with whom they grew up under the watchful eyes of their dad who always encouraged them to be better people and athletes. As mentioned earlier, Shaquill’s other half Shaquem is also doing incredibly well as a professional American footballer. One astonishing fact about Shaquem is his ability to play perfectly in various sports despite being an amputee. He was born with amniotic band syndrome, at the age of four and because of excruciating pain he was suffering, had to undergo an amputation. Like his other half, he was selected by the Seattle Seahawks with the fifth round as the 141st overall in the 2018 NFL Draft. The two brothers make a perfect team in most of their games. Shaquill Griffin shares the same height as his twin. He stands at 6 feet and has a perfect athletic build. He weighs 194 pounds. In addition, he is quite good with his hands and has perfected his control with his swings. His hand span is 83/4 inches while his arm length is 323/8 inches.